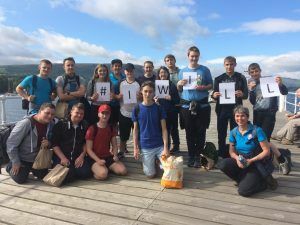 Last year, an intrepid bunch of young people aged 16-24 signed up to Eden Rivers Trust’s very first #iwill activity week. 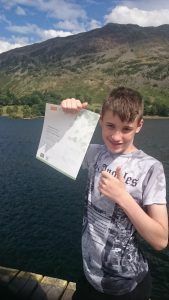 Over the course of five days, 21 youngsters climbed fells, canoed, explored, gained their John Muir Award, showed some serious photography and film-making skills, undertook social action and generally made a social storm for rivers! This was all made possible through a £5,000 grant from the #iwill Fund. Eden Rivers Trust aims to make the River Eden a better place for people and nature. It received the grant to challenge groups of local young people to develop and execute their own social action projects to help protect the rivers in the Eden catchment. The week-long adventure included fell, river and lake walks, canoeing, photography, rhododendron bashing, litter picking, conservation tasks and surveys on water usage. The first adventure week went so well, Eden Rivers Trust did it all again in October, this time with a focus on learning bushcraft skills and giving the participants the chance to sleep out under the stars in a shelter made from natural materials as well as undertaking conservation work on the fells. One of the participants said: ‘Everyone’s loved it and enjoyed it’. A photographic exhibition of the young people’s photos was open to the general public and they worked with a professional film maker to produce a film, showing highlights of the activity weeks. You can view the film here.